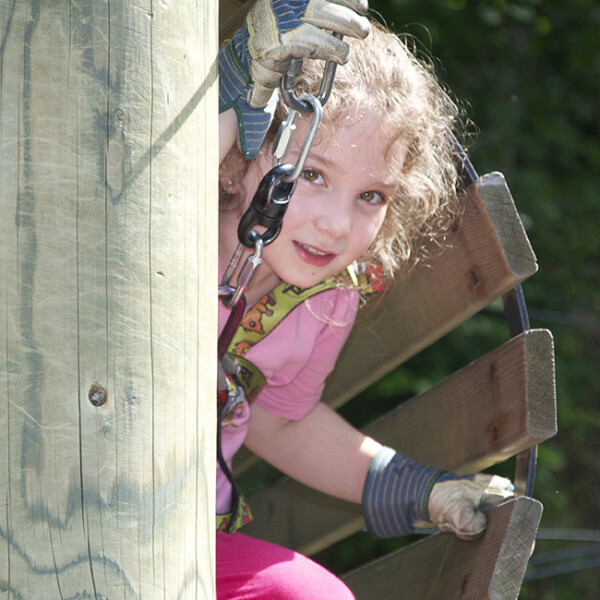 The “kids” courses have been designed especially for children aged 4-7. 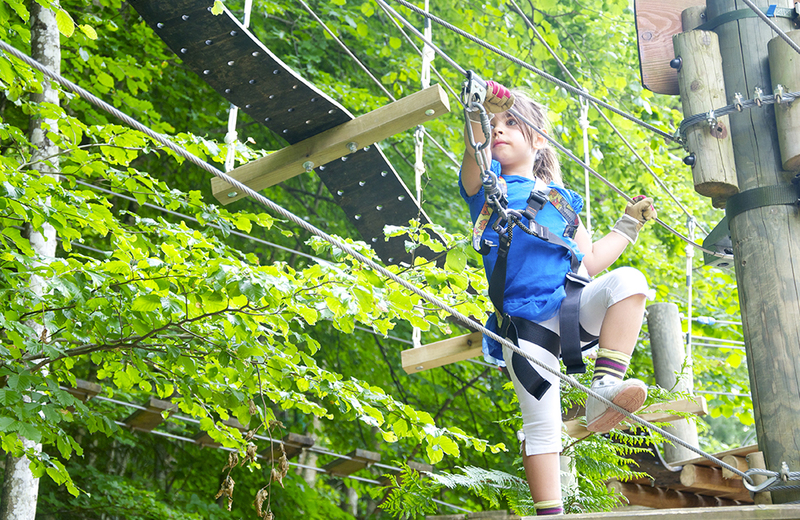 This is their world, so adults are not admitted. 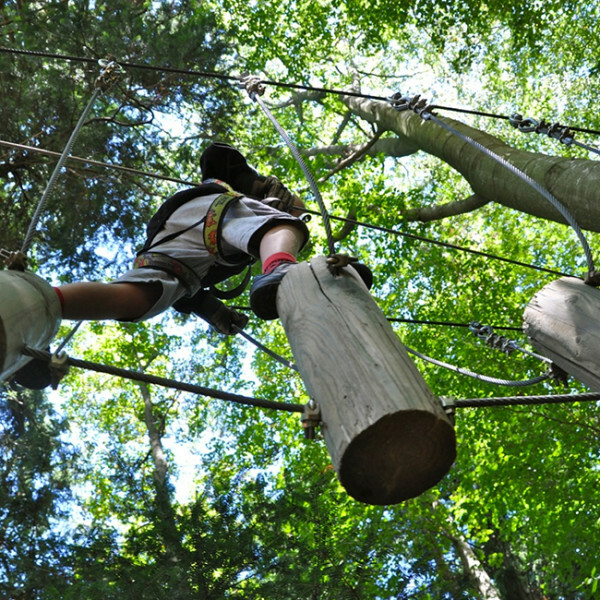 No karabiners to hook and unhook in sequence in order to progress here. 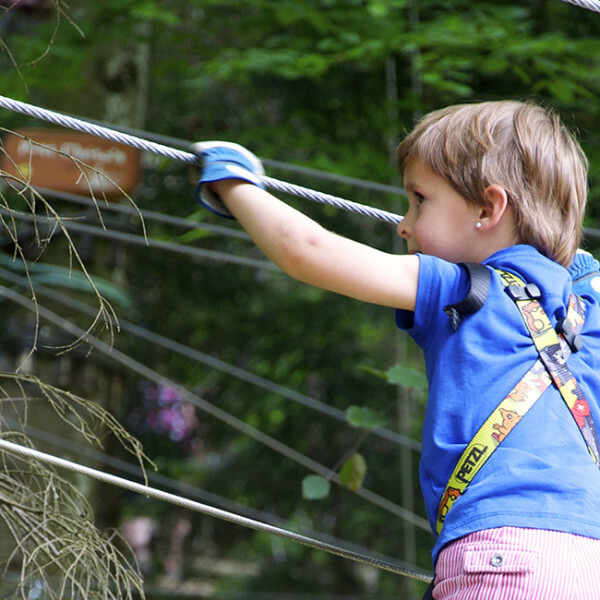 Instead, the principle is that children are attached to the security cable from start to finish: the lifeline is never broken. 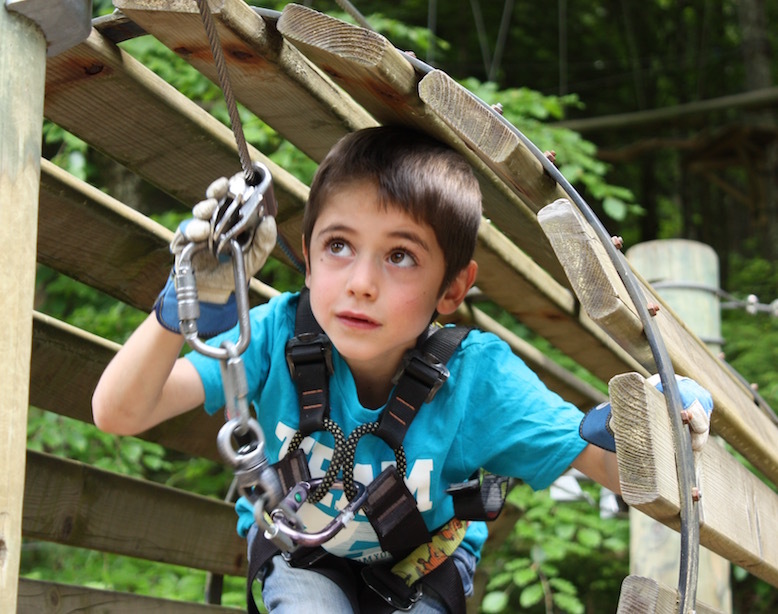 Ingenious, innovative and above all safe and reassuring – both for the children and for the adults accompanying them. 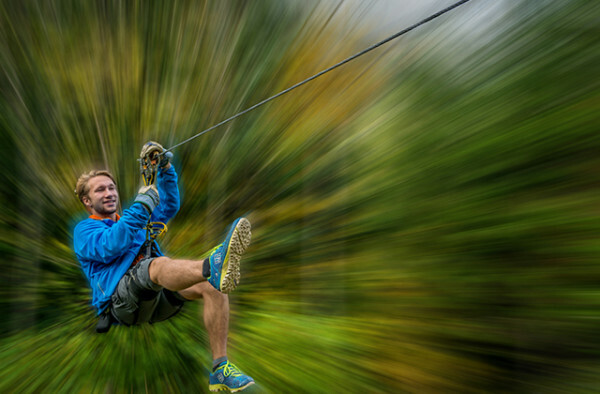 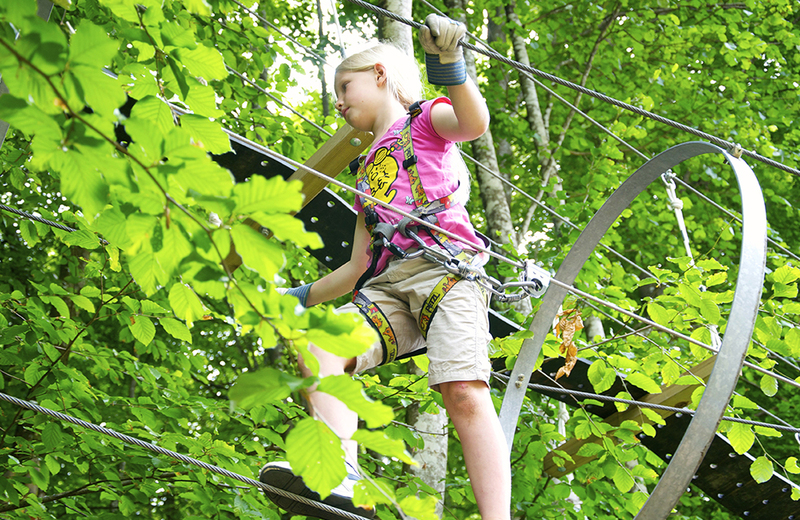 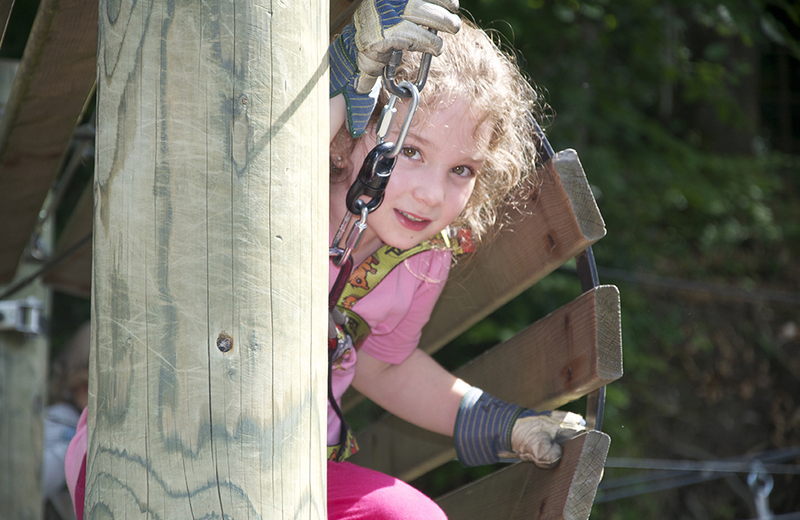 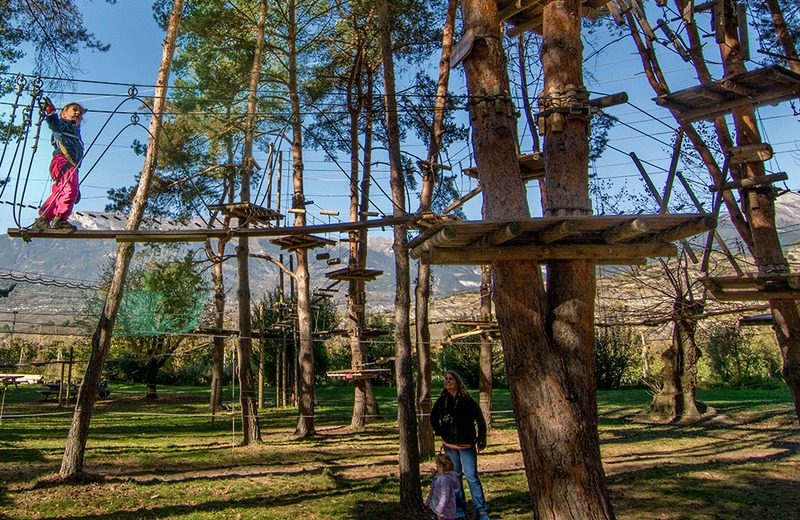 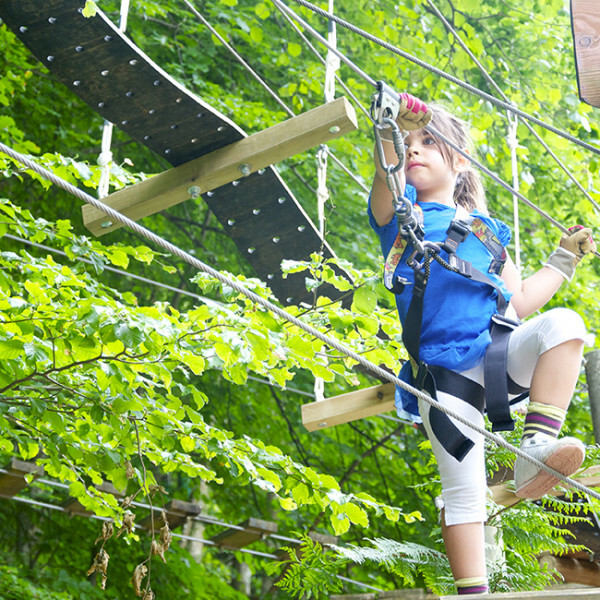 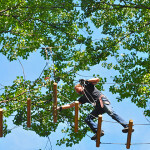 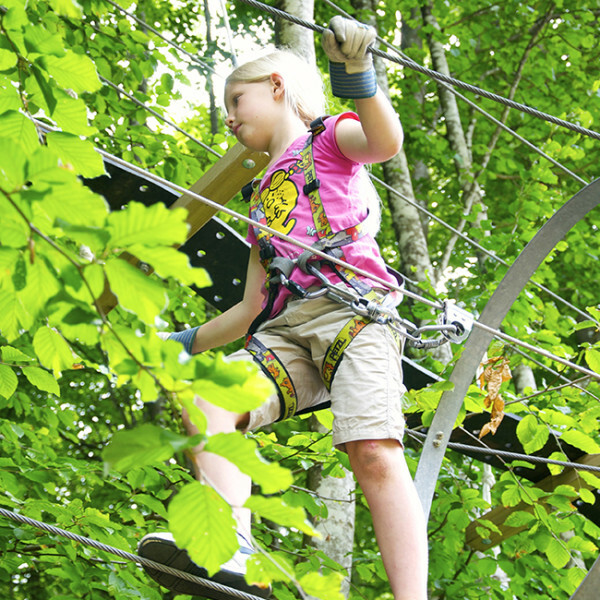 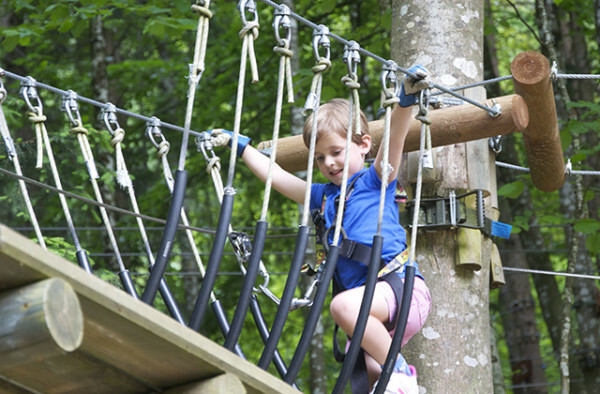 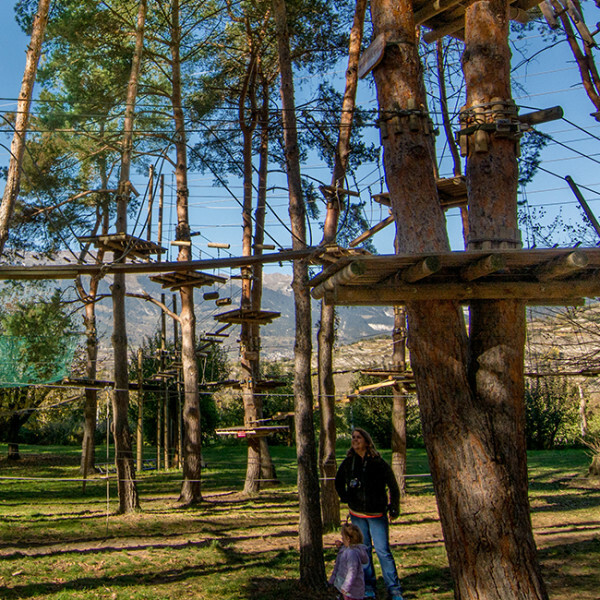 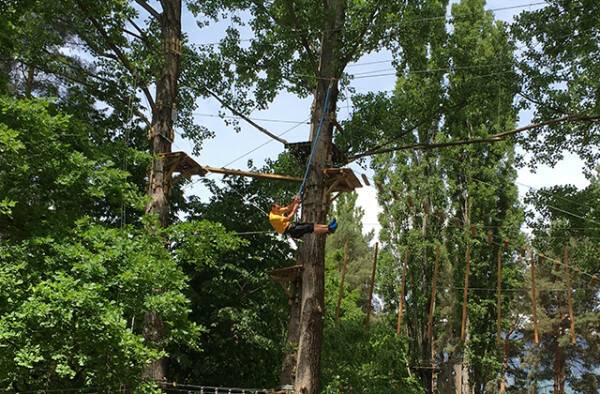 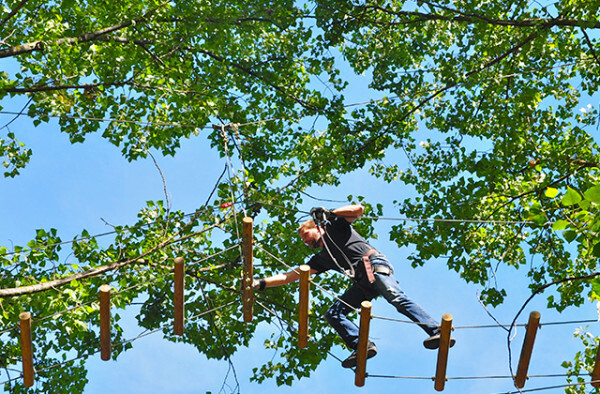 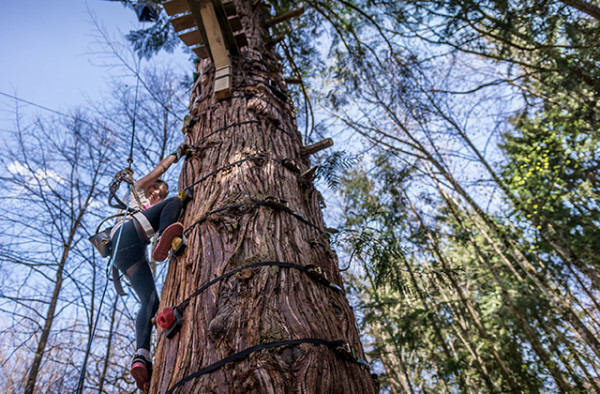 On all the courses, young visitors have a high time defying the laws of gravity, developing their sense of balance and finding a taste for aerial adventure. 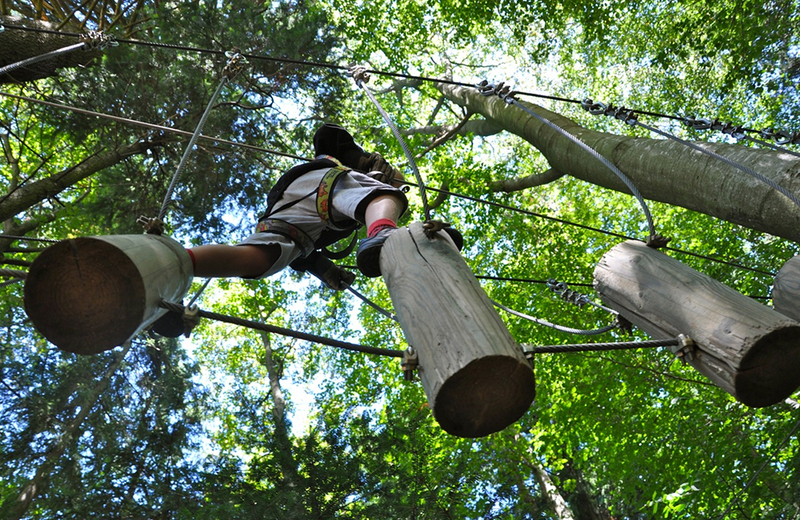 Just one step off the ground and they’re on the first branches, making their way up in the world. 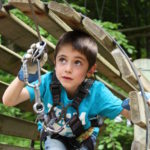 As they negotiate a sequence of suspended walkways, wobbly bridges and other challenges, they gain confidence: this is fun! 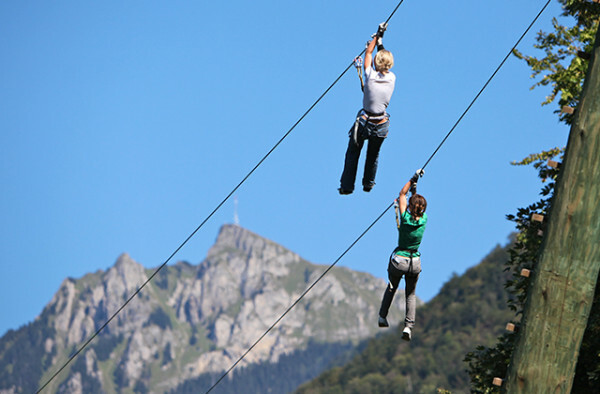 At the Signal de Bougy, a “super-kids” course (price supplement: CHF 5.00) leads the most intrepid explorers to new heights. 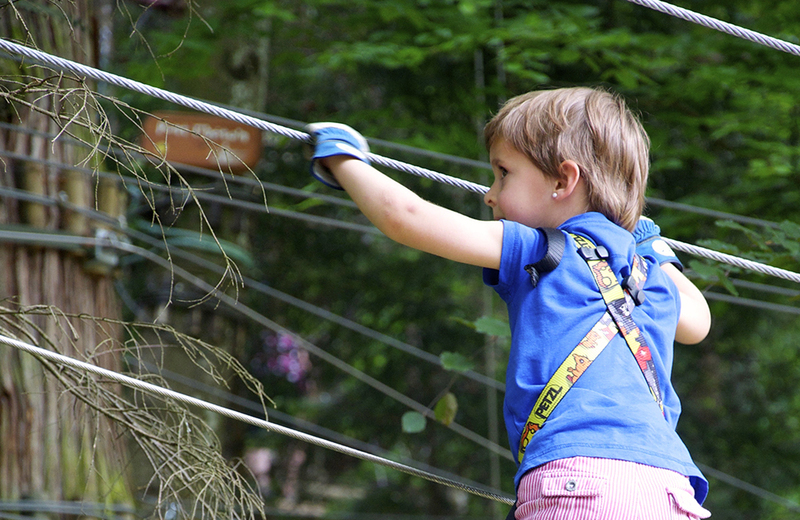 Two conditions: children must be at least six years old… and really brave!